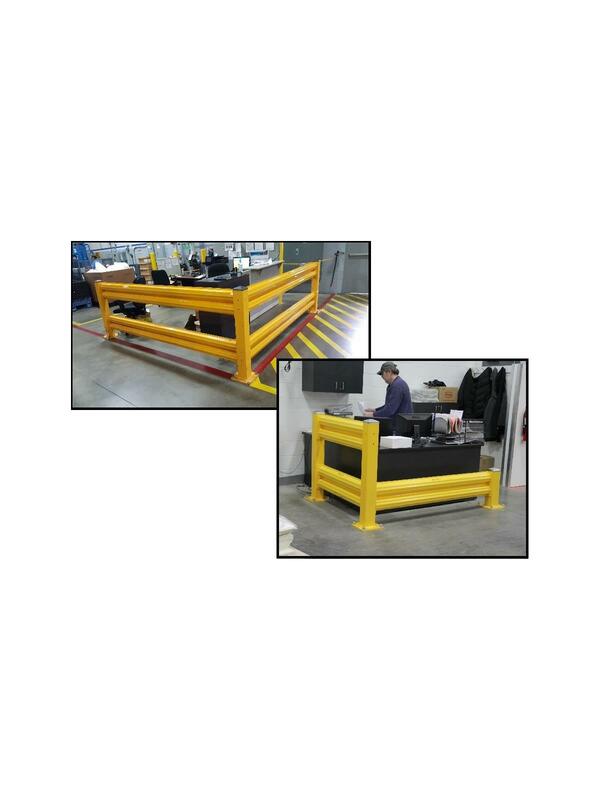 Provides superior protection against fork truck accidents. Impact tested with 10,000 lb. load at 4 mph. All assembly bolts and floor anchors are included. High tensile strength steel and high visibility powder coat construction. Posts are 4 way mounting. Available in two rail or single rail configuration. 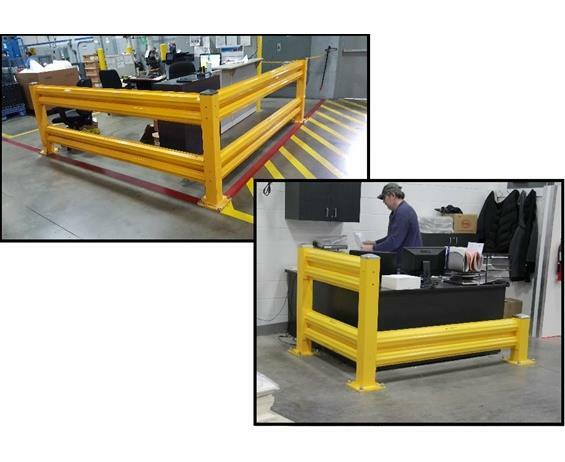 Lift out rails with the option bolt on sleeve (HLOA). FOB Shipping Point. Note: All assembly bolts and floor anchors are included.